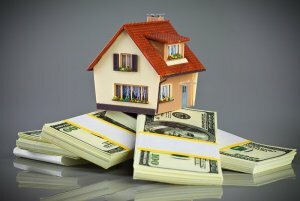 Many people assume that being a landlord is one of the most lucrative investment options in San Antonio. Some even believe that you only need to relax and wait for the monthly income. This is far much from the truth. All is not that rosy as it sounds. 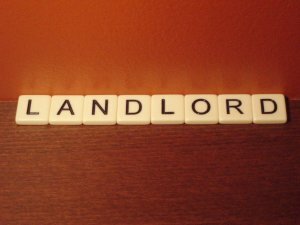 There are tons of challenges that come with being a landlord. Apart from dealing with rogue tenants, you also have to deal with regular maintenance costs. 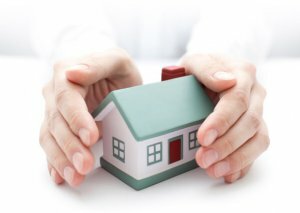 Let’s not forget that some property management companies may not give you the peace of mind that you need. with huge sums of money to keep your property in good shape. You can’t afford to ignore them as you may end up losing the existing tenants or even scare away the ones that may be willing to come to your property. Such costs can end up reducing your profit margin. tenants and property owners. 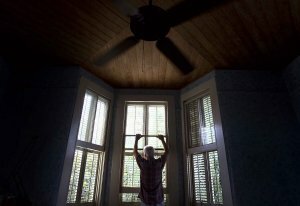 Although the contractor can make the situation to be somehow easier, they can also be the source of your pain. conflict of interests where they manage several other properties. Apart from neglecting you, they may be doing all that it takes to rip you off. With such managers, it won’t be a surprise to get calls from tenants deep in the night. They take this action because they have been neglected for long. We cannot deny the fact that some tenants can be the source of agony. Sadly, you cannot judge them when they are renting the property. You are probably desperate to fill up the vacant house, hence you welcome them as fast as possible. You don’t conduct a background check on them. Such tenants can cause some types of physical damage to your house. They can break the existing furniture or even steal some appliances. Repairing such damages can cost you a fortune and reduce your profit margins. Do you have to go through these? Some property owners prefer using real estate agents to sell their rental homes. In such situations, the realtor is in charge of advertising and marketing the property. Although this may look like a quick and easy option, it has its own set of drawbacks. This is because most realtors find it difficult to sell homes, especially the ones that are already occupied by existing tenants. A good number of realtors fail to comply with the basic laws such as ROFR (right of first refusal). This law gives tenants powers to sue the landlord who denies them the ability to buy the property before it is put up for sale. Ignoring such a code, which is a typical behavior of most tenants can land you in trouble. Some agents can also violate the right to refuse showings. This law gives tenants the power to deny realtors and even property owners from showing off the house to potential buyers. During such situations, some clauses give property owners and agents the rights to show off their homes. If you are tired of being a landlord, the most efficient option is to sell your rental houses to a reliable house buying company in San Antonio. This option saves you from different types of risks and relieves you the burden of dealing with the existing tenants. Through this alternative, the only thing that you have to deal with is negotiating for different prices of the property. Everything else will be taken care of by the home buying company. Forget about the legalities that are involved in evicting the existing tenants or telling them of an upcoming sale. A buying company will spare you from the stress that comes with dealing with such legal issues. With a house buying company, you also don’t have to worry about the poor state of the house that has been damaged by a wayward tenant. If you have any existing valid agreements with your tenants, a house buying company has professional ways of taking care of such issues. Tenants will also enjoy a smooth transition even when the property changes hands. There will be no incidences of fear nor anxiety. If you no longer want to go through the stress of being a landlord, come to us. We are a reliable home buying company in San Antonio and can help you sell your rental property. With us, you won’t have to worry about the time that you will receive your money from the sale. We buy houses in cash and remit the payments within your stipulated timeline. We are familiar with all the legal requirements that guide the sale of properties in San Antonio, meaning that all our dealings will be within the law. Our offers are also fair, and we ensure that you get the real value of your property. Avoid the unnecessary costs that come with selling the rental property through real estate agents. Let’s relieve you from the stress of being a landlord. WE WILL BUY YOUR RENTAL PROPERTY! CALL US AT (210) 547-7505 TO GET A CASH OFFER TODAY!